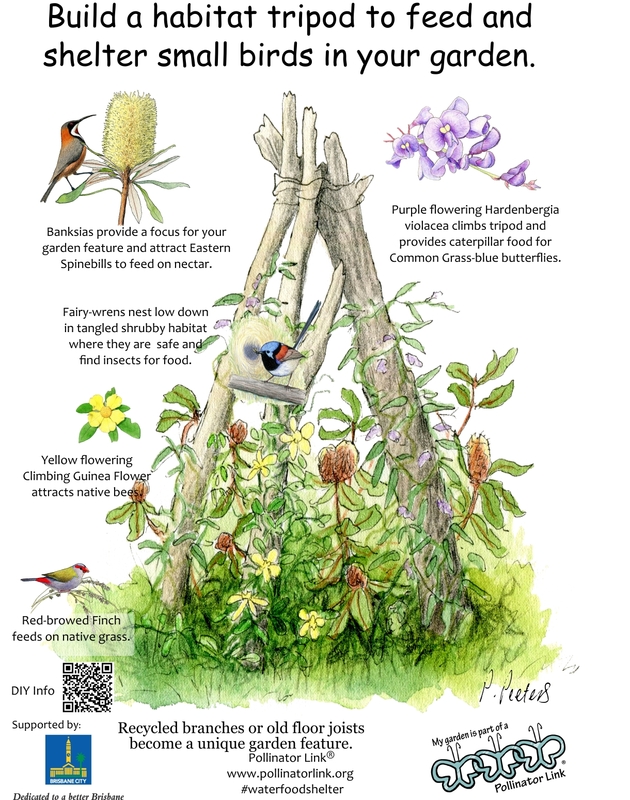 Use this guide to create a unique garden feature and provide Food and Shelter for small birds in your garden. Two develop and test this guide we sourced recycled timber from Woolloongaba Demolitions at Rocklea. They particularly love to see their materials being recycled to create urban wildlife habitat.